There is no greater testament to the quality of life at The Danish Home of Chicago than a former executive becoming a resident. That’s exactly what happened last October when Leif Nielsen and his wife Diana moved from the house next door (literally) into The Danish Home, where he was administrator for 25 years. 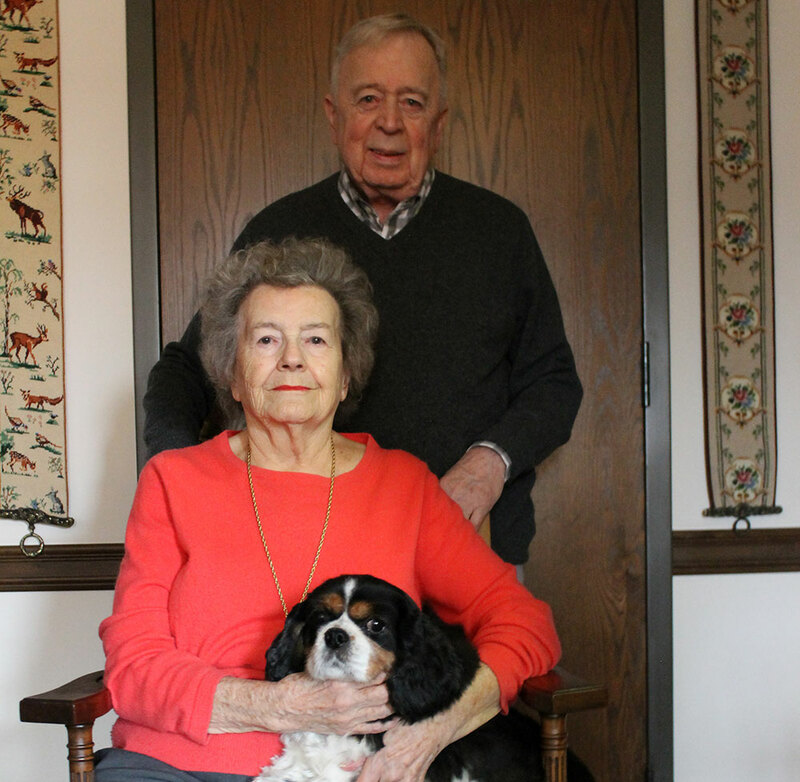 “We searched several senior communities, but choosing The Danish Home felt like coming back home in many ways,” said Leif. Leaving his job at The Admiral At The Lake senior living community in Chicago, where he was assistant administrator for 12 years, Leif began a long career at The Danish Home in 1986. But his journey started much earlier when, at the age of 21, he left his native Jutland to seek adventure in the U.S. Virgin Islands, formerly the territory of Denmark. On St. Croix, he managed several stores, a resort, and served as acting Danish Vice-Consul. He also met the woman to whom he’s been married for 55 years, a career nurse and midwife from Wales, who served the Royal Air Force based in Germany and was director of nursing at The Admiral. The two never returned to live in Europe, but they have since visited their homelands and traveled the world extensively. “We went back to the Virgin Islands to celebrate our 50th wedding anniversary,” said Leif. The couple have one married daughter and two grandchildren in Minneapolis, whom they see often between the two cities. At The Danish Home, Leif and Diana share a large apartment with their beloved Cavalier King Charles Spaniel, Daisy. Stylish touches, including furnishings in the Danish blue and white color scheme, grace their spacious dwelling. This stands to reason, as Leif’s early career included work in fashion and interior design. Obtaining his state license as a nursing home administrator in 1976, Leif amassed 37 years of experience in senior housing, beginning at The Admiral in 1974. It is perhaps notable and unique that he finds himself on the “other side” of senior living. Wisdom from the perspective of both senior administrator and resident amounts to sage observations and advice, though Leif is mindful and respectful of current administration under the leadership of president and CEO Scott Swanson. Leif is keenly aware of the importance of socialization in later life. “It can be lonely to grow old without friends and things to do,” he said, remarking upon the vast array of outings, events and activities that residents of The Danish Home have access to. He is also cognizant of the importance of celebrating one’s heritage. “I think it would be interesting to display documents, photos and memorabilia from the early days of The Danish Home.” The native Dane is a proponent of communal access to Danish news, televised royal appearances, etc. as well. “Heritage is a big part of why many residents come here, and it becomes even more important the older we get,” said the man who acknowledges and appreciates that residents of all backgrounds are now welcome at The Danish Home. As the bright January sun streams through the Nielsens’ window overlooking the courtyard, Daisy the dog sighs blithely. “We feel secure and content here,” said Leif.